At 13,000 feet, even this close to the equator, the thin air chills you to the bone. We are sipping rich hot chocolate, our frozen toes propped up on the fireplace at the lodge in Cajas National Park, west of Cuenca Ecuador. As it often does, the conversation turns to the route ahead: Peru, Bolivia, Las Pampas, and Patagonia. This is easily our most anticipated leg of the journey. 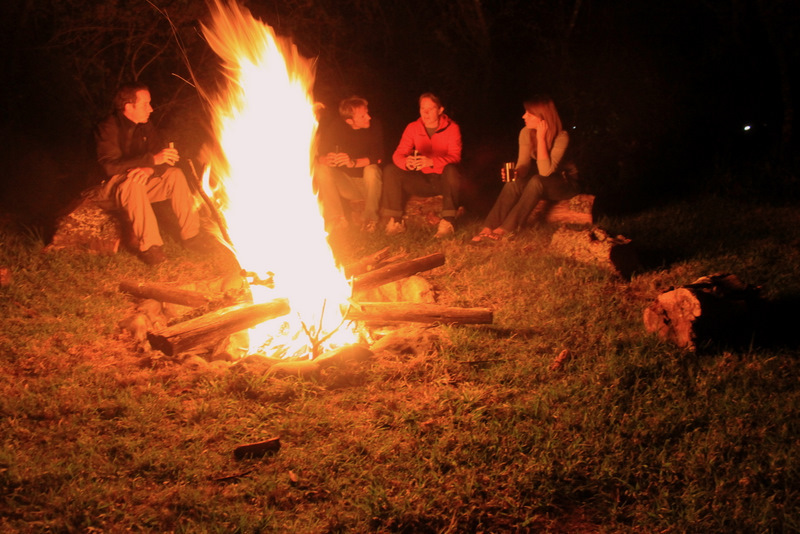 Before our hands are warmed by the fire, it has been decided – we are going to extend the trip. The timing will allow us to spend summer in the Southern Hemisphere and return to the Mid-West in the spring. We agree on March 15th. The logistics behind the decision are still forthcoming. Financially we are in the same spot we were with a January end date. We have found no secret treasure chest among the Chachapoyas ruins, although legend has it there is one for the taking. Living slowly has become our mantra and slowing the pace will cut costs. Racing through Central America had us craving a long term stop. Finding work at a hostel or volunteering for an extended time would benefit us mentally and financially. However, jobs abroad are hard to secure and nearly all volunteer opportunities require payment above and beyond the cost of room and board(!). The one “free” volunteer project we researched was teaching english to politically active communists in order to make them more effective campaigners. Not exactly our three cups of tea. Much like declaring our plan to drive to Patagonia, making and stating the goal is half the battle. What started out as a nine month pipe dream has now evolved into a 15 month soul-searching quest. We have been at it for nearly six months now. In that time there has been bloodshed, tears, and even a metal sliver imbedded in a cornea. We have met friends we will never forget and shared countless laughs together. So far our biggest take-away is the value in letting go. And we’re just getting started. When I let go of what I am, I can become what I might be. 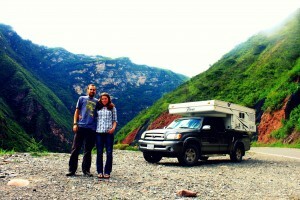 This entry was posted in Ecuador, Inspiration, Live Better by Brianna & Logan. Bookmark the permalink.